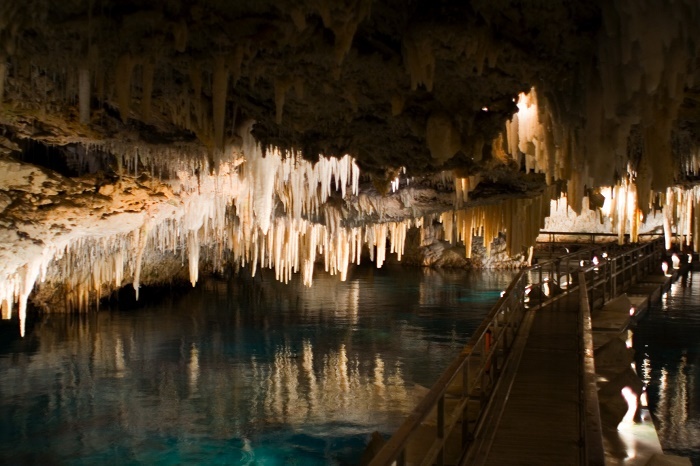 Crystal Cave is an interesting cave which is located in the Hamilton Parish in the eastern part of the British overseas territory in the North Atlantic Ocean, Bermuda. 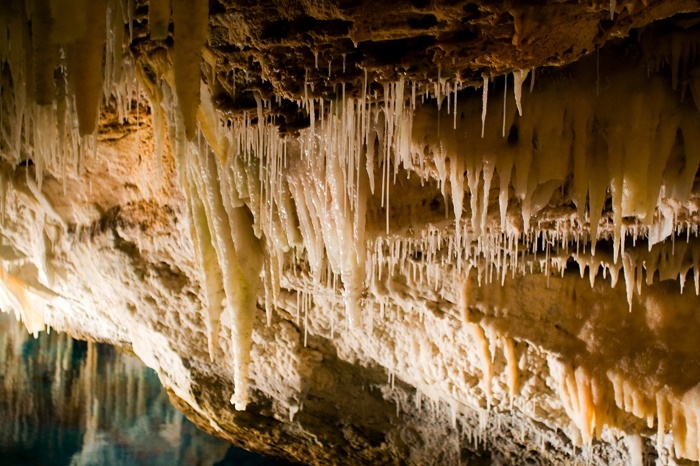 Considered to be a natural wonder of the island nation, this awe-inspiring natural attraction is part of what is known as the Crystal and Fantasy Caves, which was formed during the Ice Age. 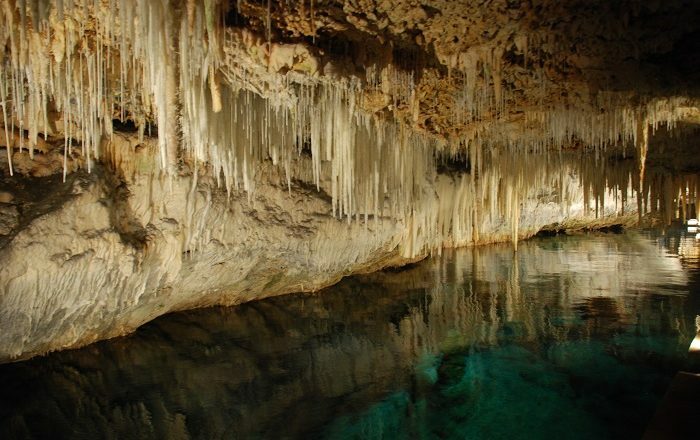 Since the cave is 500 meters (1,640 feet) long and 62 meters (203 feet) deep, there is one part of the cave which is under water and it was measured to be around 20 meters (66 feet) in depth. 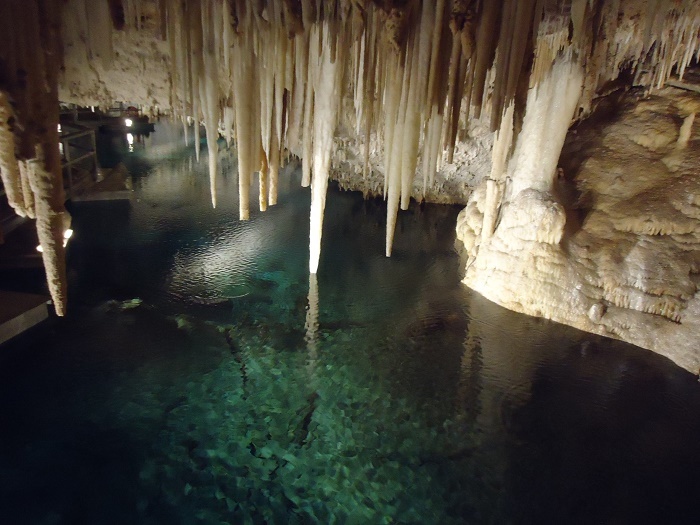 This part forms what is known as the Cahow Lake which can be seen above from the pontoon bridge that crosses it. 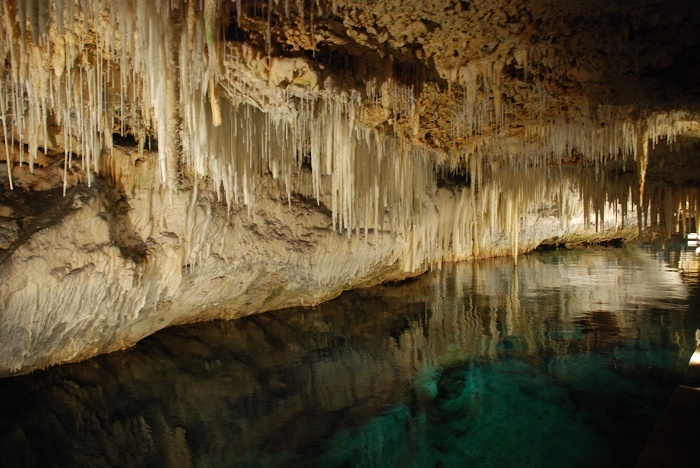 Discovered in 1905 by Carl Gibbons and Edgar Hollis who were searching for their lost cricket ball, it is located on the Wilkinson’s family property who instantly saw the magnificent potential Crystal Cave has. 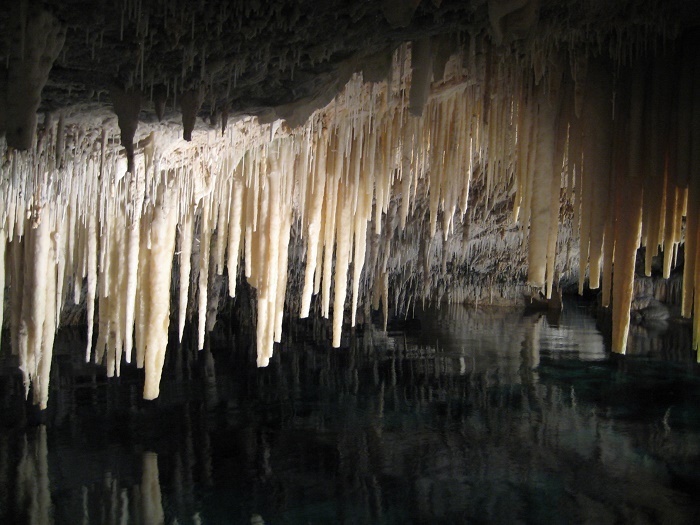 Due to the dramatic formations of stalactites and stalagmites, naturally carved from the limestone rocks, this grand cave is a mesmerizing wonder from the underworld. 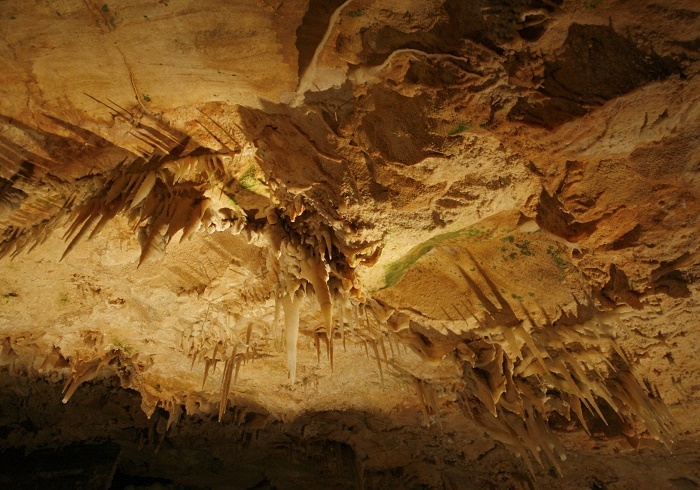 These incredible formations that can be seen in every size and shape are enriching and inspiring the imagination of each visitor, as some would say that they are something like rare chandelier clusters and delicate crystallized soda straws. 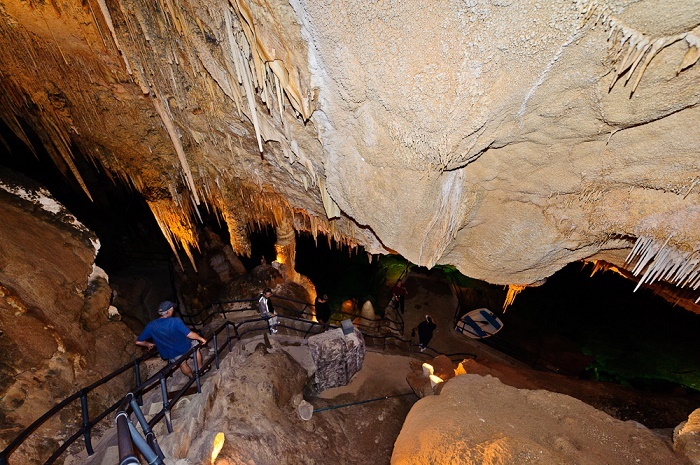 With organized excursions through the pathways, there is an artificial illumination that creates wonderful colors throughout the entire system which in turn attracts even more visitors. 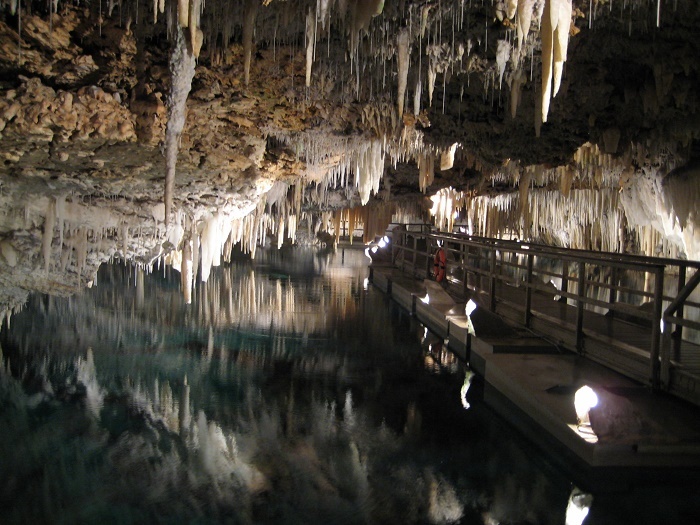 All in all, this hidden treasure from Bermuda’s underworld is a definite gem that will make you fall in love in caves and make you some sort of a spelunker, even if you do not appreciate the wonders of the underground marvels.